These fresh croutons pair great with a creamy soup. 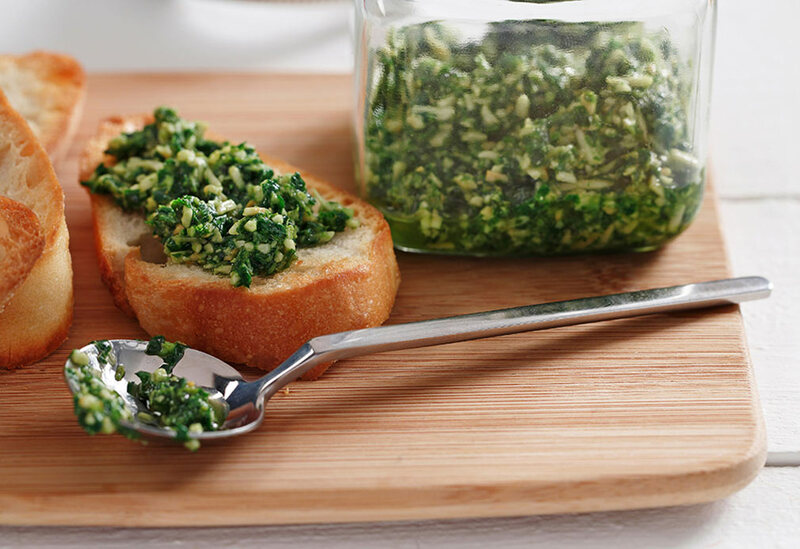 Canola oil’s neutral taste doesn’t interfere with the basil and garlic punch of the pistou (Provençal cold sauce). For croutons: Preheat oven to 400 °F (200 °C). Spray baking sheet with canola oil cooking spray. Brush baguette slices on both sides with oil. Place on baking sheet and cook until crisp and golden brown, about 10 minutes. For pistou: In blender with motor running, drop garlic through feed tube. Turn off motor, and add remaining ingredients. Process to a smooth paste. Turn off motor, scrape down sides of bowl and push ingredients to bottom of blender periodically. 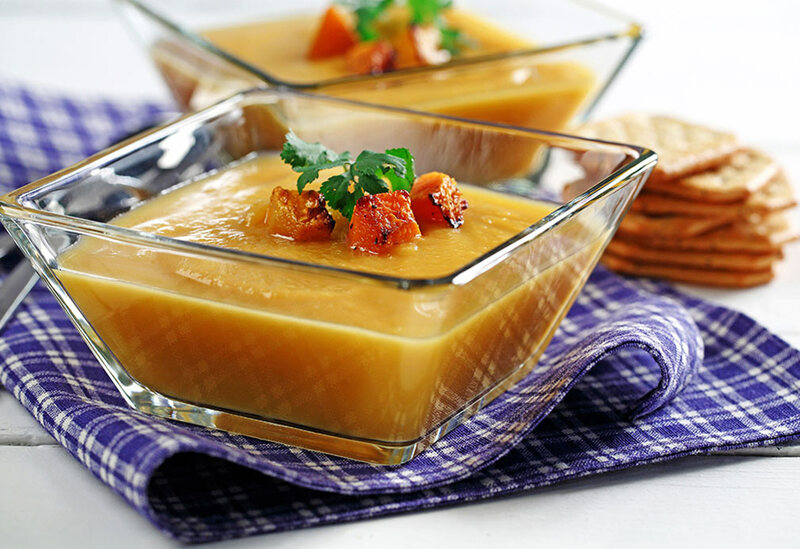 When completely smooth, place in refrigerator in air-tight container until needed (for up to 3 days). Just before serving, stir to recombine. This creamy purée of zucchini has just a hint of lemon to enhance its simple, garden fresh flavors. Canola oil’s mildness helps keep them clean and bright. 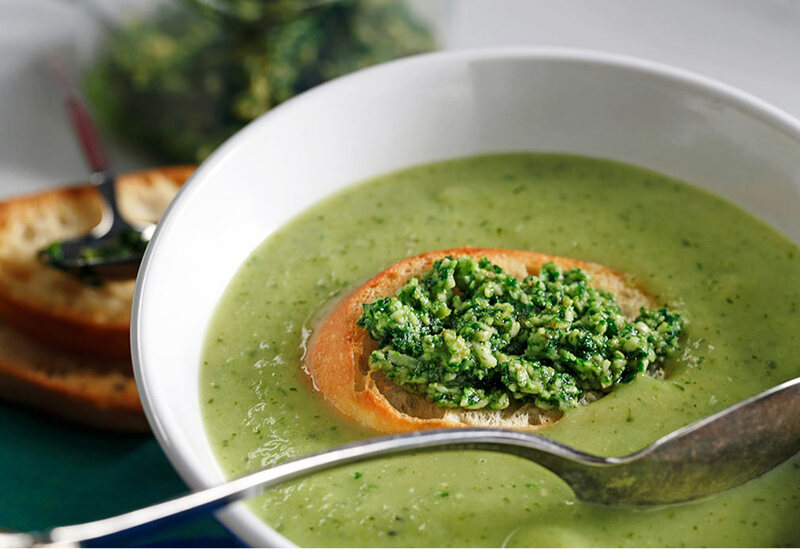 Served with a crisp crouton topped with basil pistou, a Provençal-inspired sauce, the soup makes an ideal light lunch or elegant beginning to a special dinner. 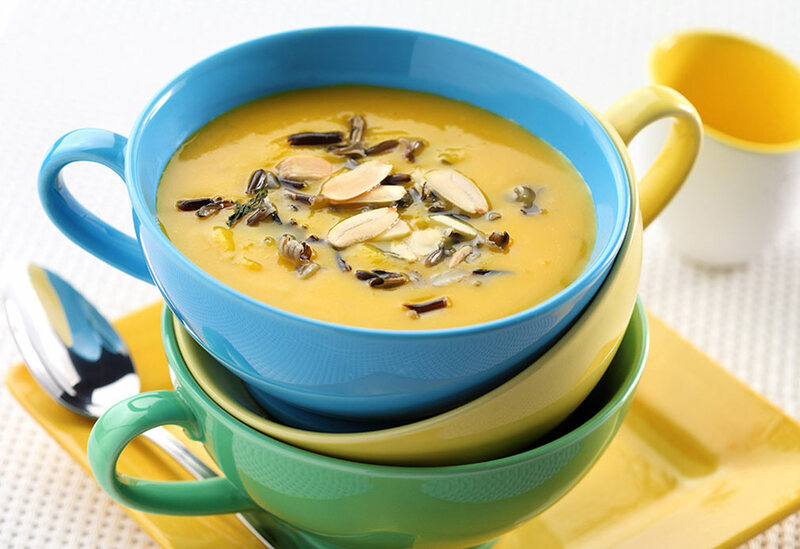 This tasty, autumn-inspired soup will make you look forward to the end of summer.